Full zip cotton track hood. 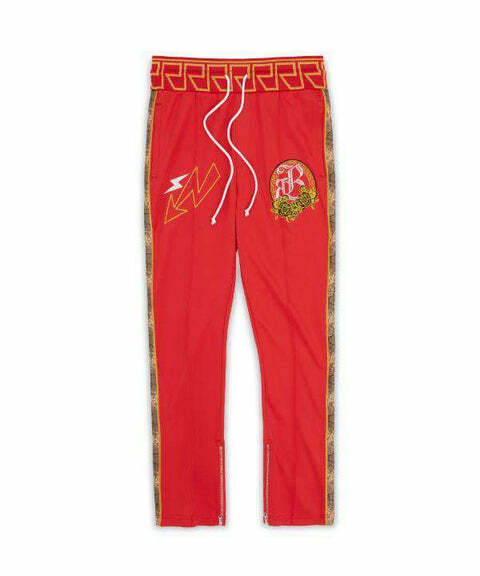 Features printed artwork on front and back, embroidery detail on front and back, and extra long drawstring. Fits true to size. 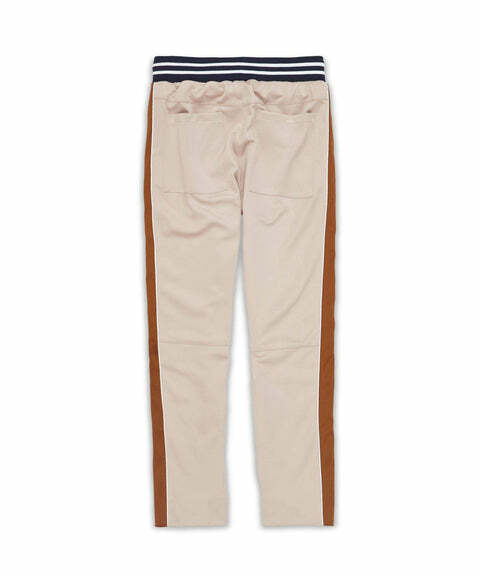 Poly tricot track pants, features sewn panel at side seams with white contrast piping, contrast stripe knit waistband, exposed zippers at side pockets and hem, embroidery logo, back pockets, and extra long drawstring. Fits true to size. Poly tricot full zip track hoodie. 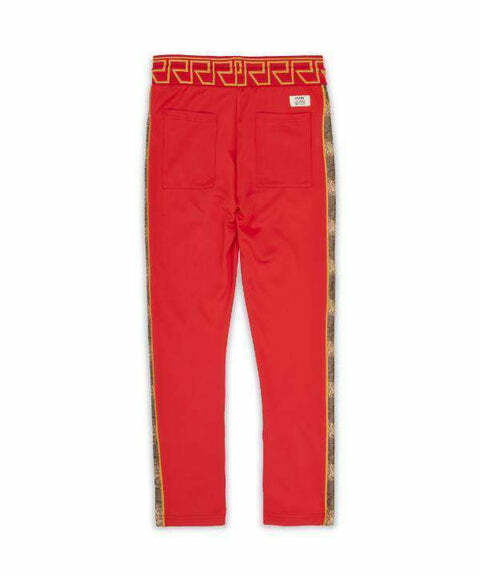 Features snake skin PU printed panels, gold embroidered piping, embroidered patches, rhinestones, felt patches, front pockets, printed ribbed cuffs and bottom hem. Fits true to size. 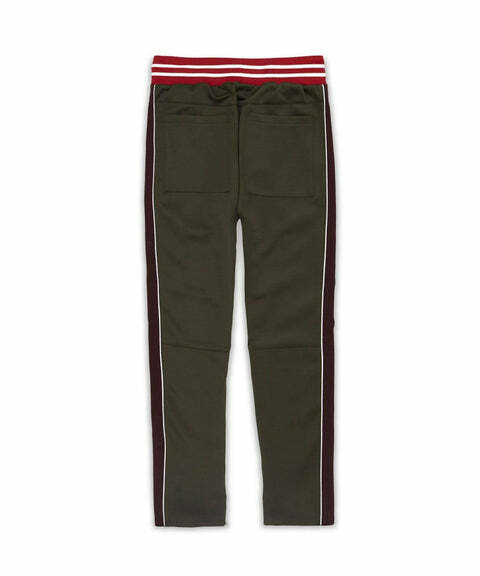 Poly tricot track pants. 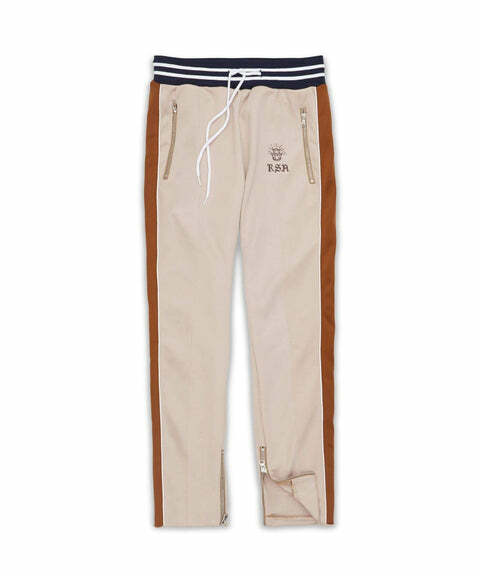 Features snake skin PU printed panels, gold embroidery, embroidered patches, rhinestones, front welt pockets, square back pockets, printed ribbed waistband with extra long rope drawstring. Fits true to size.